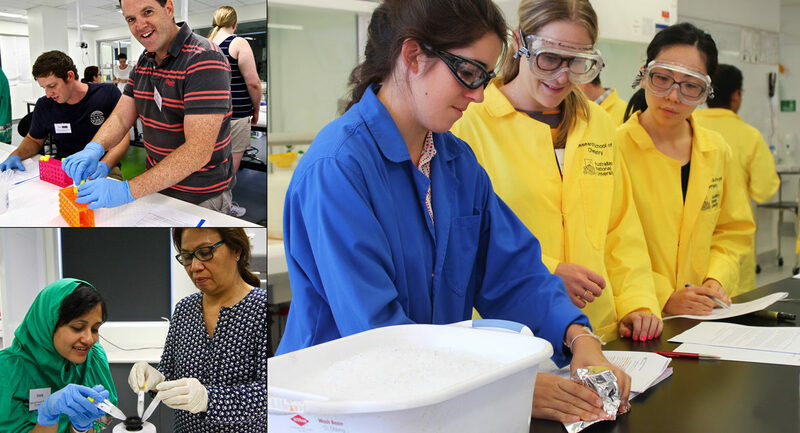 The National Science Teachers Summer School (NSTSS) is a five-day professional development program for experienced and new secondary science teachers from across Australia. The program is also open to High School Lab Technicians. The National Youth Science Forum (NYSF) has delivered the NSTSS in Canberra for more than fifteen years, and from 2018 also ran the NSTSS program in collaboration with the University of Queensland in Brisbane. At the NSTSS, participants will engage in a professional dialogue about teaching and learning, be exposed to cutting-edge research, and explore new methods of engaging students in science, technology, engineering and mathematics (STEM). With the focus on STEM increasing in schools across the country, the NSTSS program is an opportunity for both new and experienced teachers to hear about the most up-to-date research in these fields, equipping them with the knowledge to not just teach their students, but to inspire them. engage with Australia’s leading STEM students attending the NYSF Year 12 program, giving you an understanding of that program’s benefits. The NSTSS is part of the NYSF’s suite of programs to inform young people about study and career pathways within STEM so they may make informed decisions about their futures. The National Science Teachers Summer School is funded in part by a grant from the Department of Industry, Innovation and Science as part of the National Innovation and Science Agenda (NISA) – Inspiring a nation of scientists. Monday 13 January – Friday 17 January 2020.
Who can register: Experienced and new science teachers at secondary and senior secondary schools across Australia. High School Lab Technicians are also invited to register. How to register: Please keep an eye on our website. Registrations will open later in 2019. Attending the NSTSS definitely reinvigorated my love for and faith in science.